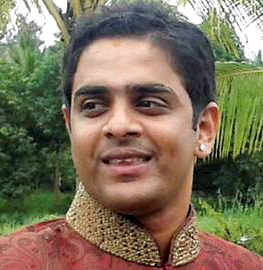 Bangalore, Sep 5, 2014: Karthik Gowda, the son of Union Railways Minister Sadananda Gowda, who has been accused by actress Mythriya Gowda, is likely to be arrested soon, say reports. Karthik Gowda, according to the complainant, is said to have had sexual relations with the actress promosing her marriage. However, when he recently was about to tie the knot with another woman, Mythriya claimed that he was already married to her. Meanwhile, city police also filed an objection seeking dismissal of anticipatory bail to Karthik Gowda at the 36th Bangalore Civil Court on Thursday. The court heard the appeal and adjourned the hearing to Friday.